Frustration and uncertainty have created an “anything goes” atmosphere in Nepal's forests. Nepal - BOGOR, Indonesia (5 April, 2013)_Though it has shown enthusiastic support for global efforts to slow forest loss and degradation (REDD+), Nepal has yet to tackle some of the biggest drivers at home, from land tenure disputes and poverty to weak governance, a recent study by the Center for International Forestry Research said. And without a dramatic turnaround, the scheme could fail in the tiny, troubled nation, warned Naya Paudel, lead author of The Context of REDD+ in Nepal: Drivers, Agents and Institutions. It’s not all bad news, he was quick to add, with community-managed forests showing that it’s possible to reverse the trends of deforestation. But in areas managed by the state, particularly in the fertile, densely populated southern lowlands called Terai and inner Terai, the condition of forests is deteriorating. “Weak governance is at the heart of it,” said Paudel, adding that dependency on these plush ecosystems, poverty, landlessness and the high opportunity costs for agriculture all add to the difficulties of reversing forest loss. Nepal, one of the world’s poorest countries, grappled with a decade-long Maoist insurgency that resulted in the overthrowing of the monarchy in 2006. It’s been lurching from one crisis to another ever since, with ethnic, religious, caste and other differences running so deep that it’s seemingly impossible to forge meaningful political agreements. Frustration and uncertainty have created an “anything goes” atmosphere. Though largely owned and controlled by the government, the Terai essentially operates as “open access,” the CIFOR report said. 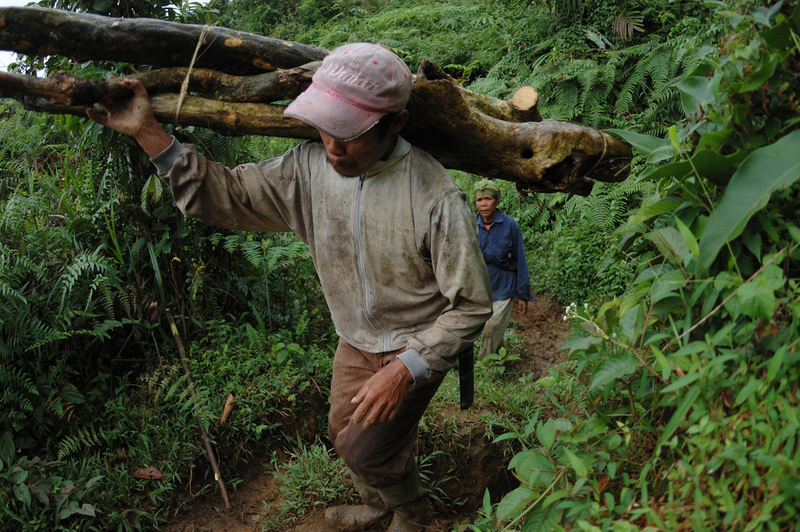 “Timber smugglers often develop clandestine relations with politicians, their local cadres and forestry officials and are often protected by them. This is driven in part by the high price of timber in the local market and the porous border with India,” said Paudel, adding many landless forest dwellers also remain silent as the trees are felled because it clears area for them to cultivate. That’s not to say the will is not there. Nepal, which remains dependent on donor funding, has signed on to multilateral environmental agreements while throwing support behind “green” action policies, like REDD+. But in order to reverse current trends, positive incentives need to complemented by reforms to governance and forest tenure security, Paudel said. While the push for a change in attitudes needs to come primarily from within the government, civil society organisations can also play a big part by helping local institutions and other community networks to better preserve forests, the CIFOR report said. The success of community-managed forests provides some inspiration. Introduced in the late 1970s, around 18,000 exist mainly in Nepal’s hill regions. Though they average only 85 hectares each, they have been not only popular but “highly successful” in reversing deforestation and forest degradation, the CIFOR report said. Some studies found that forest cover increased in the country’s Middle Hills, particularly after the expansion of community forestry. This has been known to bolster the argument for decentralisation. But Paudel and his team say because these community-managed forests struggle with some of the same problems as their state-run counterparts, it’s not that simple. Forestry authorities have found ways to exert influence resulting at times in cumbersome bureaucratic procedures that have, among other things, pushed up the cost of doing business. “We are seeing governance gaps within the community institutions as well,” said Paudel. This work forms part of the CGIAR Research Program on Forests, Trees and Agroforestry and is supported by the Norwegian Ministry of the Environment, Norwegian Ministry of Foreign Affairs, AusAID and UKaid. Cultivating REDD in Nepal's Community Forestry: Discourse for Capitalizing Potential?